Community Development | PT Toba Pulp Lestari Tbk. 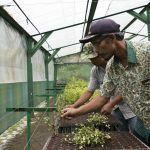 In 2015, 10 districts received CSR funds totaling IDR13 billion, or 1% of net sales: Toba Samosir, Tapanuli Utara, Humbang Hasundutan (Humbahas), Samosir, Dairi, Pakpak Bharat, Simalungun, Tapanuli Selatan, Padang Lawas Utara (Paluta) and Asahan. We work with the local community in the Tobasa area to provide them with the skills and equipment they need to increases their income through farming. 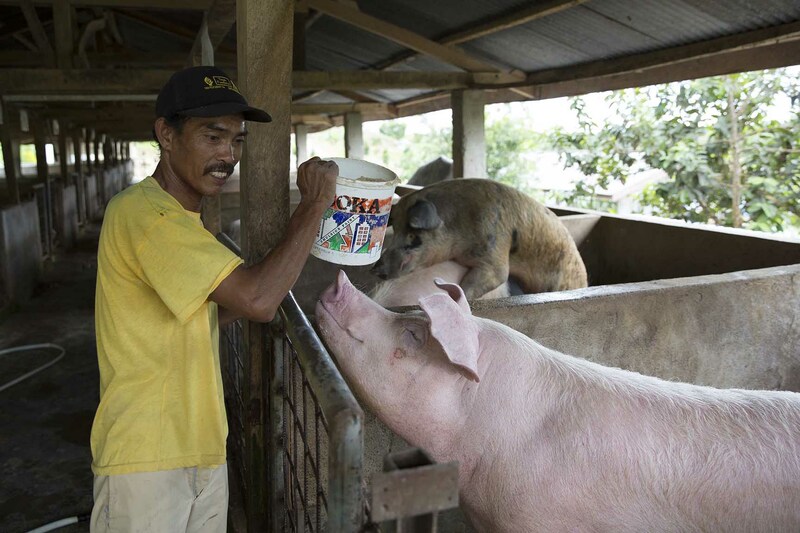 Pigs were selected for this area because of their suitability, and because the majority of the population are Batak Christians. This program is conducted without discrimination against other ethnic or religious groups. Each group of five people is given a pregnant pig: after the babies are born and are old enough to be separated from their mother, the piglets are distributed among the group members and the mother is passed on to the next group to begin a new cycle. In 2016 we distributed 26 hogs to local residents. 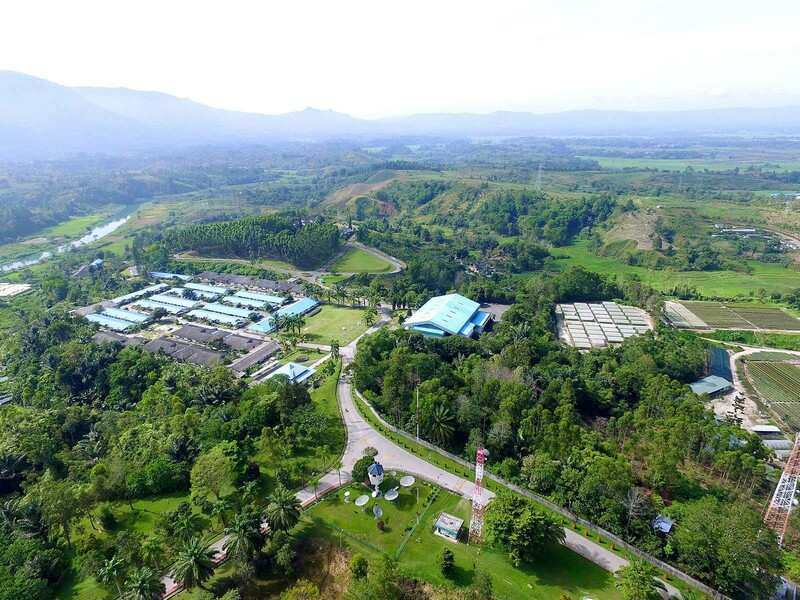 The company established Pondok Bina Tani, which translates as Farmers Assistance Quarter, to become a center of excellence for training and research into local crops such as coffee, cacao, mango, tamarillo, candlenut, and andaliman. 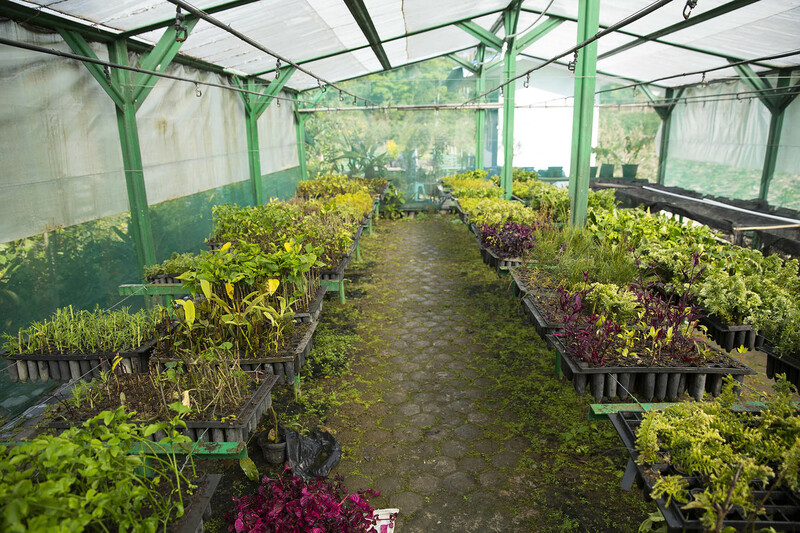 The Farmers Assistance Quarter provides training to local farmers on cattle rearing and feeding, farming, and the creation of compost and fertilizer from animal droppings. Planned future programs include training on artificial insemination of cattle and the use of animal droppings to create biogas. 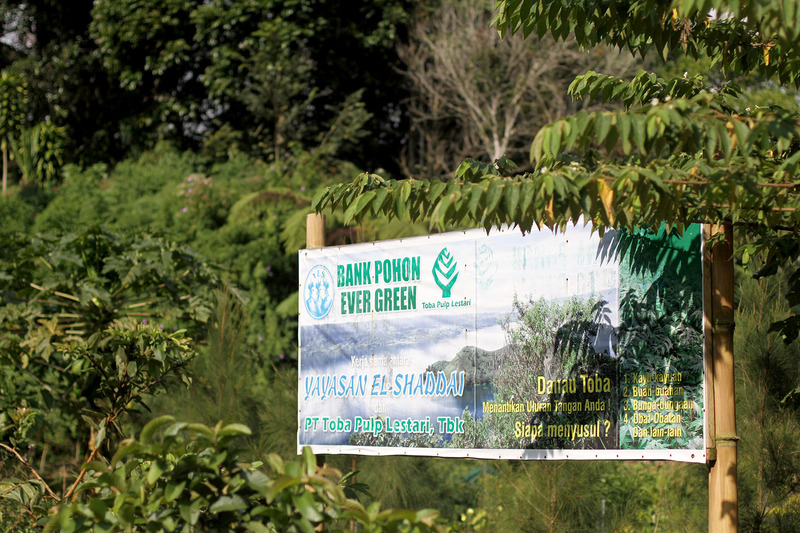 The company also collaborates with El Shadday Taman Eden 100 Foundation to supply seeds which will be distributed to local farmers to boost their yields. The company grants scholarships to underprivileged students who earn good grades at school. Criteria include parental income, the number of siblings currently in school, expenses, and cost of living. 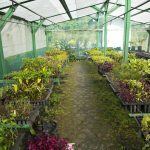 In 2016, we granted scholarships to 13 students of SMKN 1 Sigumpar and one student of SMA DEL. We also provide funding direct to schools for infrastructure and equipment. 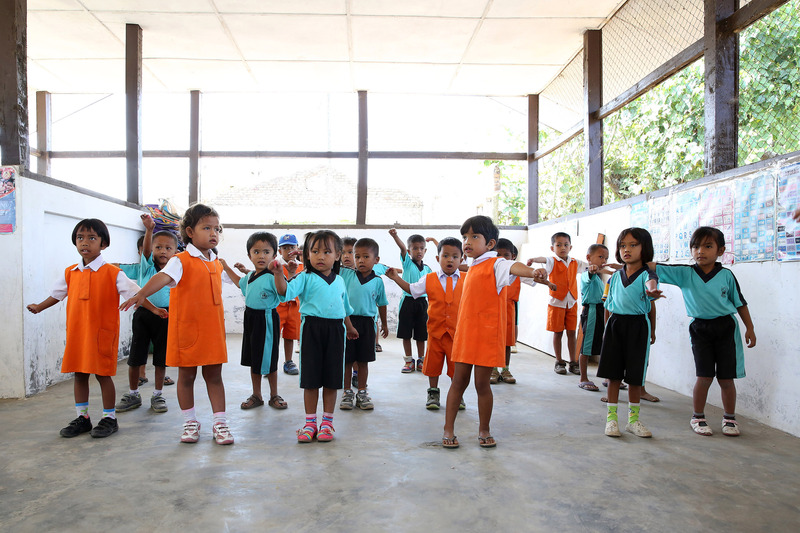 We funded the construction of fences and gates at Siruar Elementary School in Kecamatan Parmaksian, and construction of a new building at Jonggi Manulus Early Age Children’s Education in Kecamatan Parmaksian. 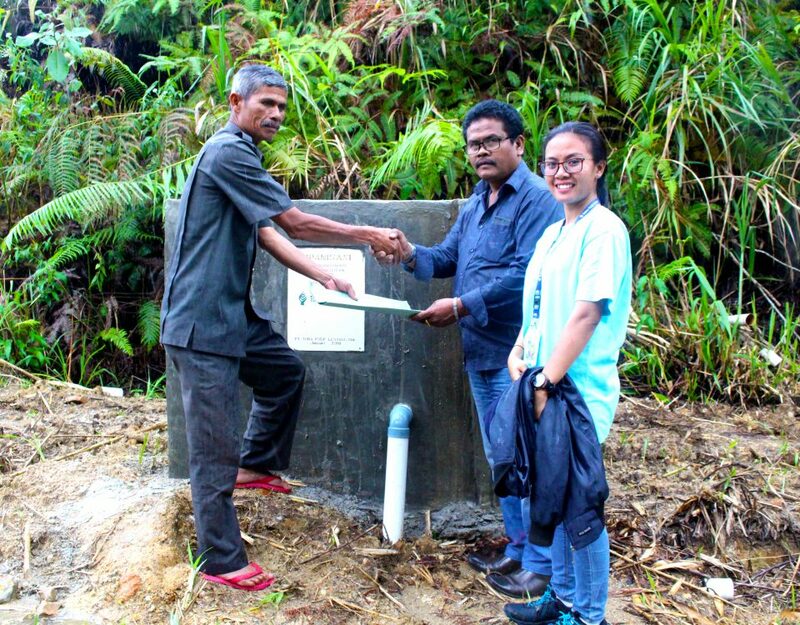 Supply of fertilizer for the people of Siruar Village, Kecamatan Parmaksian. 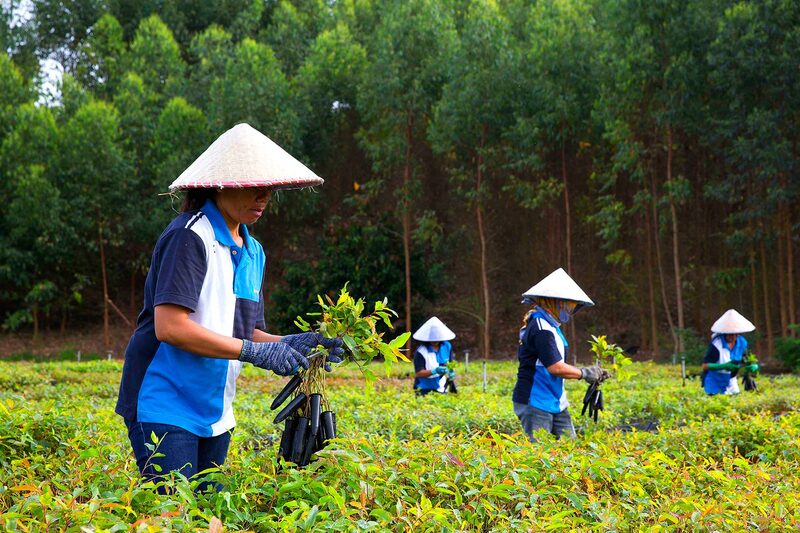 Through our business partnership program, PT. 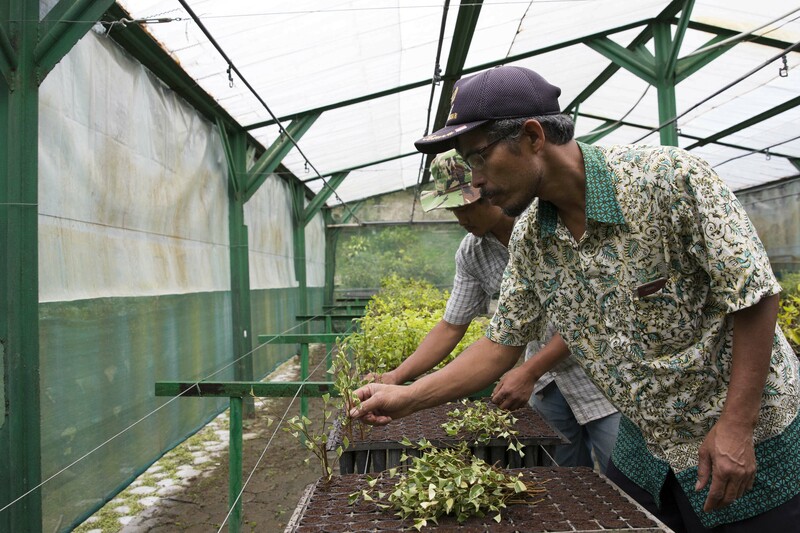 Toba Pulp Lestari Tbk provides business opportunities for the people near the factory or in forest operational areas located at Kabupaten Tobasamosir, Tapanuli Utara, Tapanuli Selatan, Paluta, Samosir, Humbang Hasundutan, Dairi, Pakpak Bharat, Simalungun and Kabupaten Asahan. 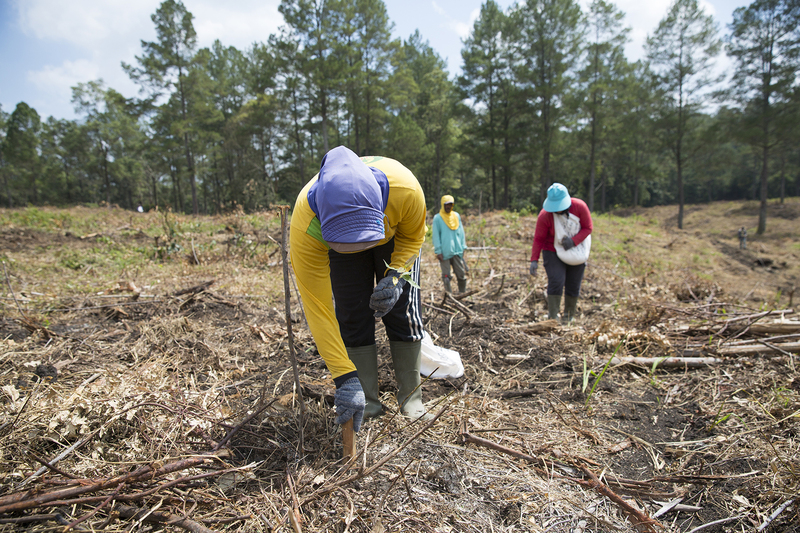 So far we have awarded business worth IDR626.3 billion to around 600 partners in areas ranging from tree planting to transportation of timber and pulp. We provide training to local residents as well as the capital they need to set up their business, so for example someone could be trained in tree felling then given a company loan to purchase chainsaws, to be repaid from the revenue from the tree cutting work. We also provide contractors with working capital loans to enable them to cover day-to-day expenses such as employee welfare, and run a program in the fourth quarter of each year to encourage local residents to set up supplier businesses. 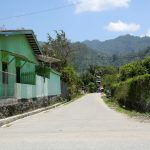 The results are encouraging: local business people have flourished as a result of their involvement and have seen significant improvements in their standard of living. Many have built successful businesses, some of which can now compete nationally in terms of skill and assets. 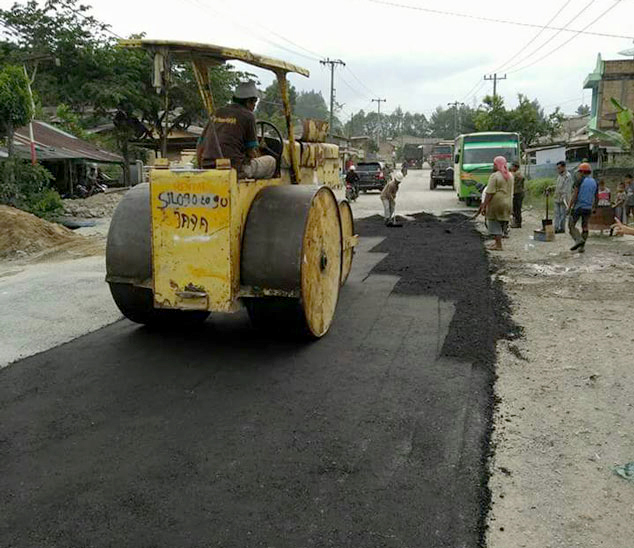 Providing cement for HKBP (Protestant Batak Church) Lintong Nihuta, Kecamatan Tampahan. Collaboration with HKI Laguboti, Kecamatan Laguboti. 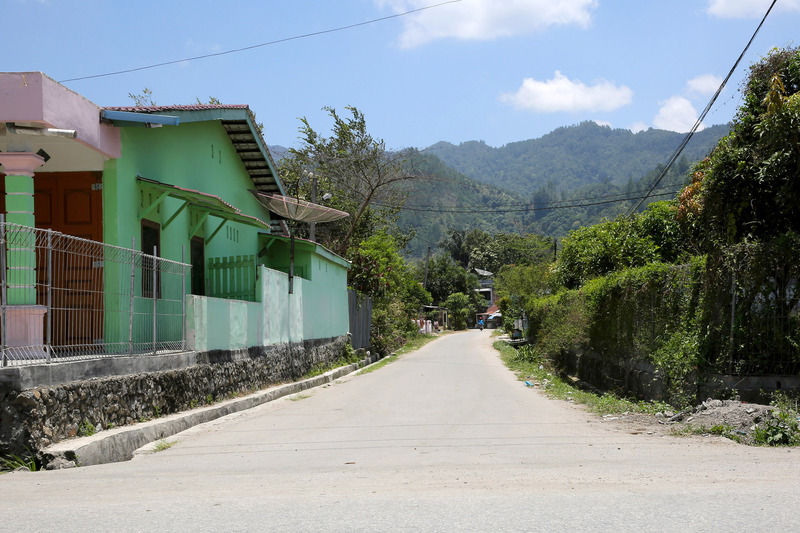 Painting equipment for the church of HKBP Matio of the Bonan Dolok Village, Kecamatan Balige. Providing hand tractors for GMI Hutahaean and GMI Lumban Huala.
. Distribution of paving blocks to the residents of Tobasa. 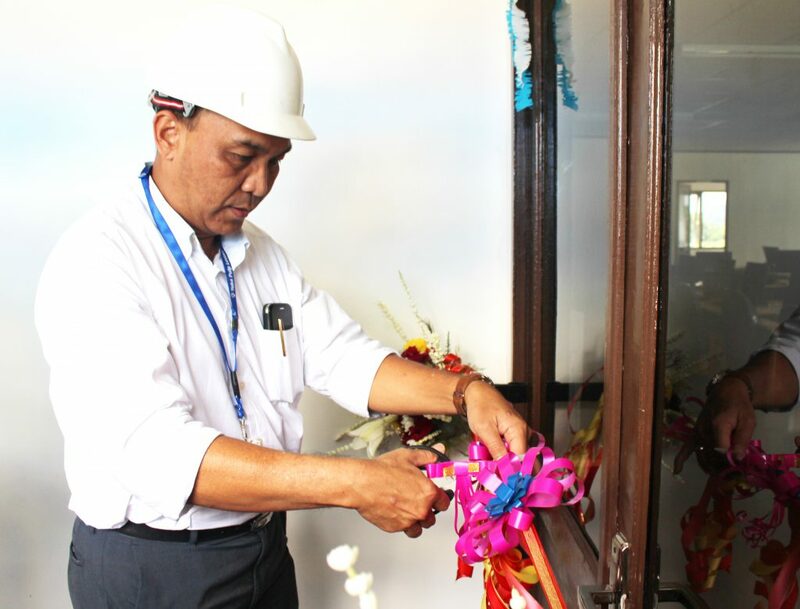 Procurement and improvement of paddle wheel motors for Simare Village, Kecamatan Habinsaran. Manufacture of dustbins for the Resort Police of Tobasa at Kecamatan Porsea. 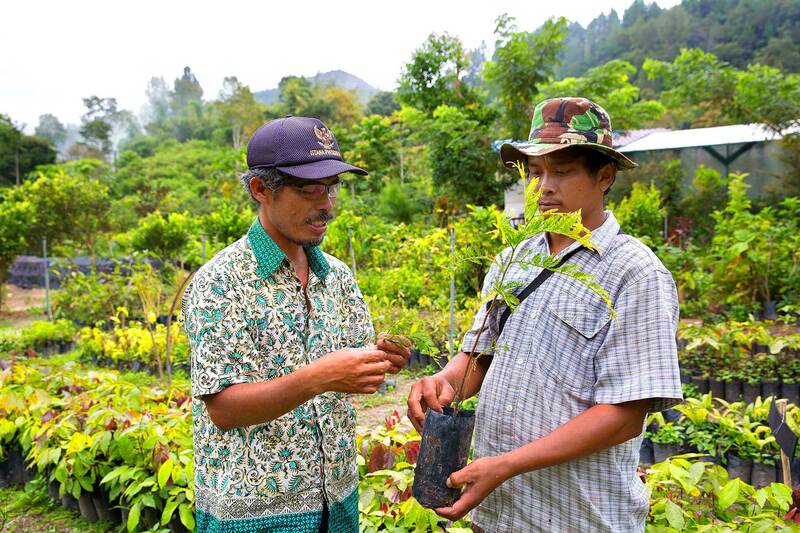 Supplying fertilizer to Parbulu Village, Kecamatan Parmaksian. Aid for the Indonesian Journalist Association of Bonapasogit at Kecamatan Balige. 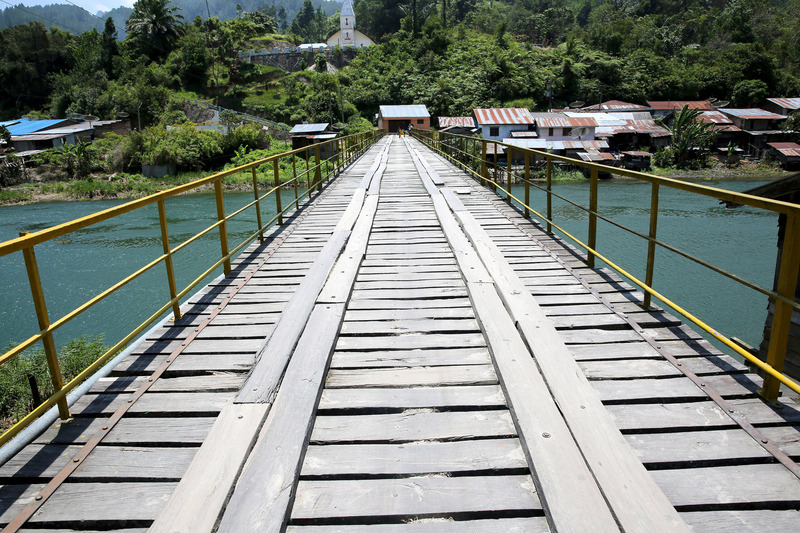 Supply of sand and rock to help repair a dam at Patane II Village, Kecamatan Uluan. 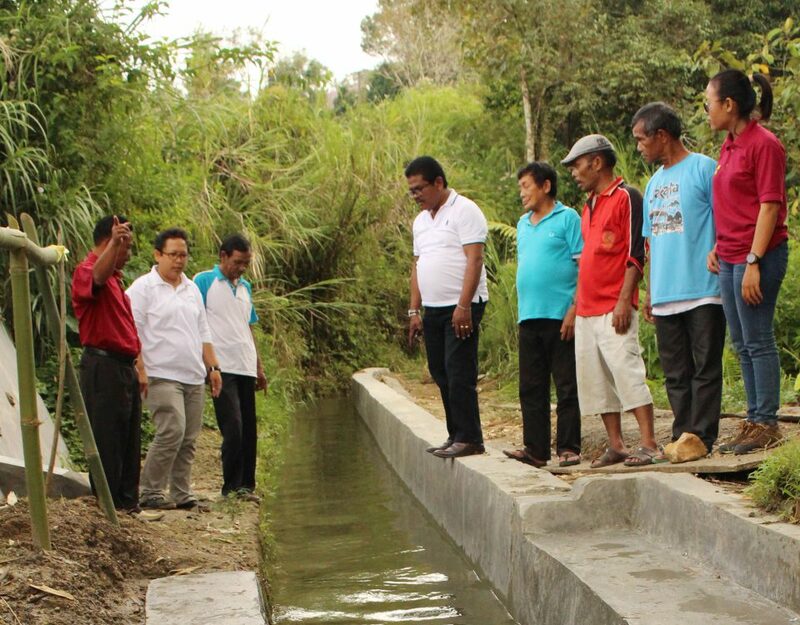 Improvement of irrigation channels of Lumban Binanga. 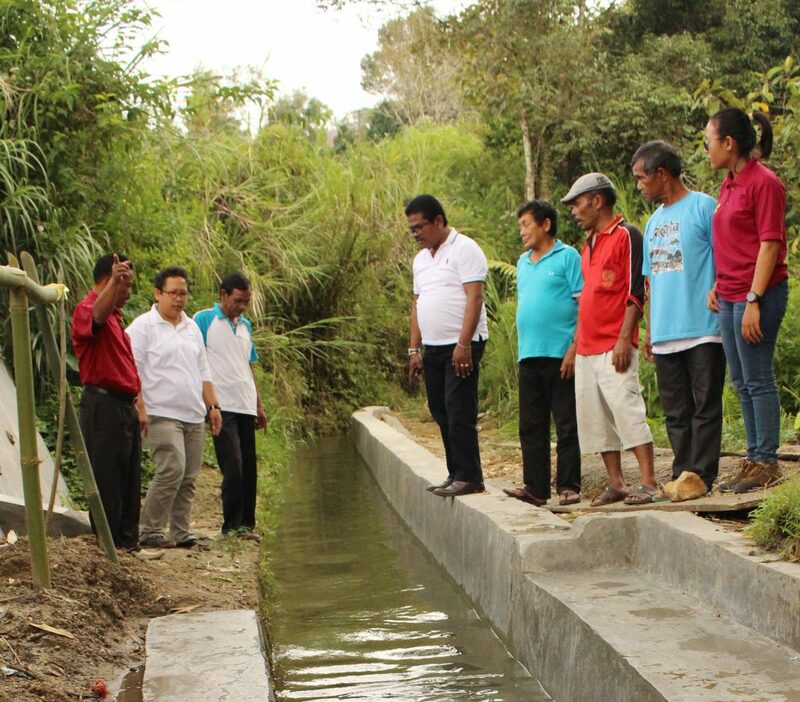 Creation of irrigation channels at Lumban Pea Tambunan, Kecamatan Balige. 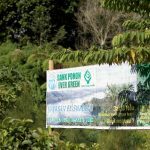 Tree planting at Kabupaten Tobasa. Assisting the Indonesian Young People National Committee (KNPI) of Kecamatan Parmaksian on the 10K DPM III Kecamatan Parmaksian event. 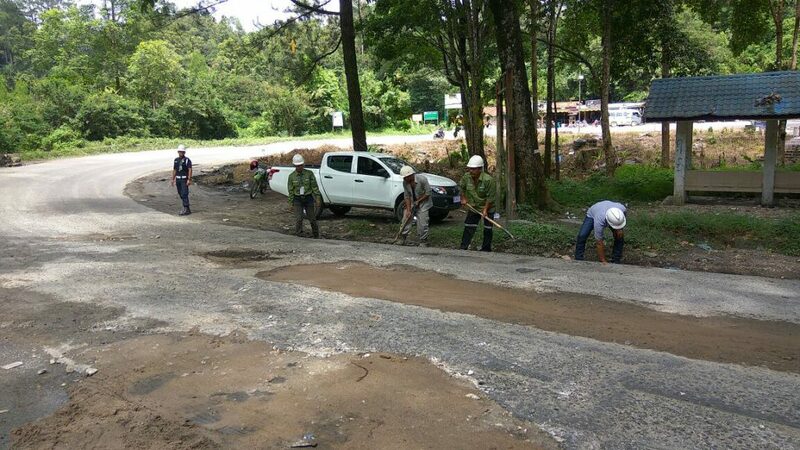 Creation of concrete cast at Lumban Sirait, Biusgu Barat Village, Kecamatan Parmaksian. 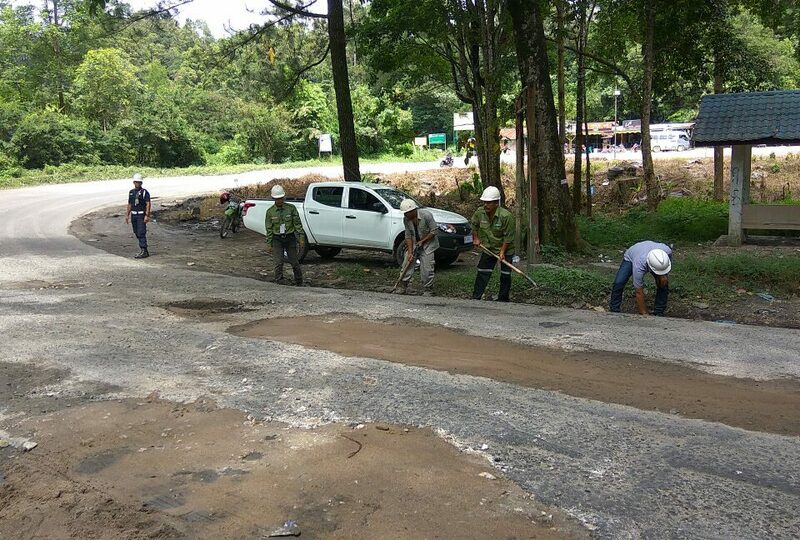 Road construction at Lumban Siagian Village, Kecamatan Porsea. Supply of 50,000 face masks for local residents to deal with air pollution. 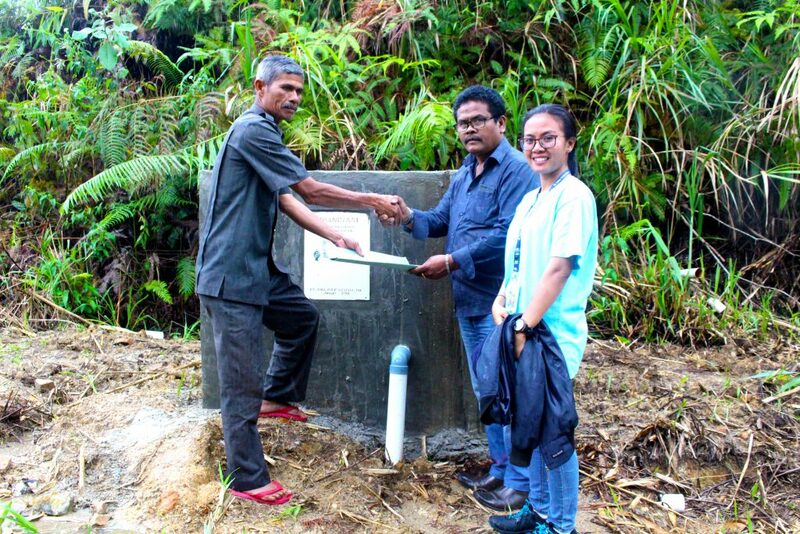 Supply of volleyball equipment to Lumban Bulbul Village, Kecamatan Balige. 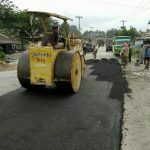 Paving at Jalan Hutanagodang, Sosor Ladang Tangga Batu I Village, Kecamatan Parmaksian.